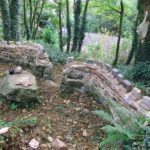 The big effort this year was the hard work of building up Fort Sandy – the play fort at the top of the valley side above the house. A hard day’s work for one man uses one bag of cement, four bags of sand and a lot of large rocks. At the end of the day one man’s work amounts to about 10 cubic feet of wall. This gives a good idea of how many slaves were needed to build Pembroke castle. The site of Fort Sandy is an old rock quarry in a sandstone bed. When I bought the site it was filled with rubbish dating from King Edward VII and Queen Alexandra. 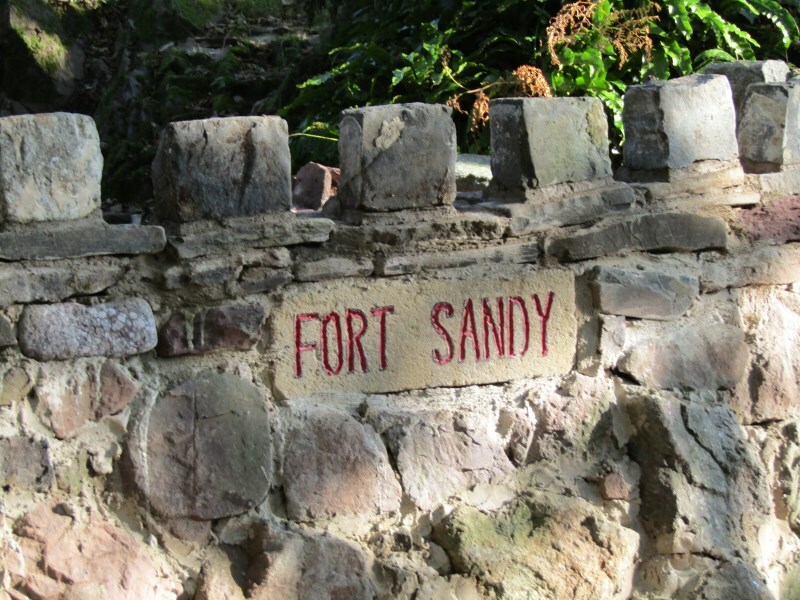 However the front wall of the fort was completed and included in it is a fine block of soft limestone in which I was able to carve the name ‘Fort Sandy’. Behind the wall, the Great Tower is rising nicely. The project was started for my children and now will be finished for my grandchildren. The hard labour is also a means of demonstrating that one is still alive. A second undertaking this year was to complete replacing the ceiling electrical lights throughout The Anchorage with low energy LED lights. This was necessary because the original lights (made in China) would burn out within a few hours. The new lights have a seven year guarantee on them. The third big undertaking was to get rid of all the pine beds. Children jumping on the beds were breaking them. Tests on the broken wood for water content showed it to be only 2% (kiln dried wood has about 11%). The central heating at The Anchorage had dried out the wood and made it as brittle as King Tunankhamen’s tomb furniture. All the old beds were replaced with divan beds except for one iron double bed that I keep for some heavy repeat visitors. Visitors this year have all commented on the bats at the Anchorage and watch them in the evenings from the Monks Garden. It is planned to build two bat houses this winter. Our sixth year of renting is complete and we had some of the nicest visitor’s comments yet. Sleeping 10 continues to make us a great place for family reunions in the peace of the countryside. 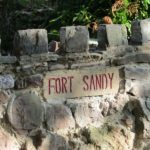 This year a big push was made in the wall building our children’s play fort – Fort Sandy. This lies above the house on the edge of the valley. It is built around an old stone quarry used to build the original farm workers cottages at Sandy Haven. 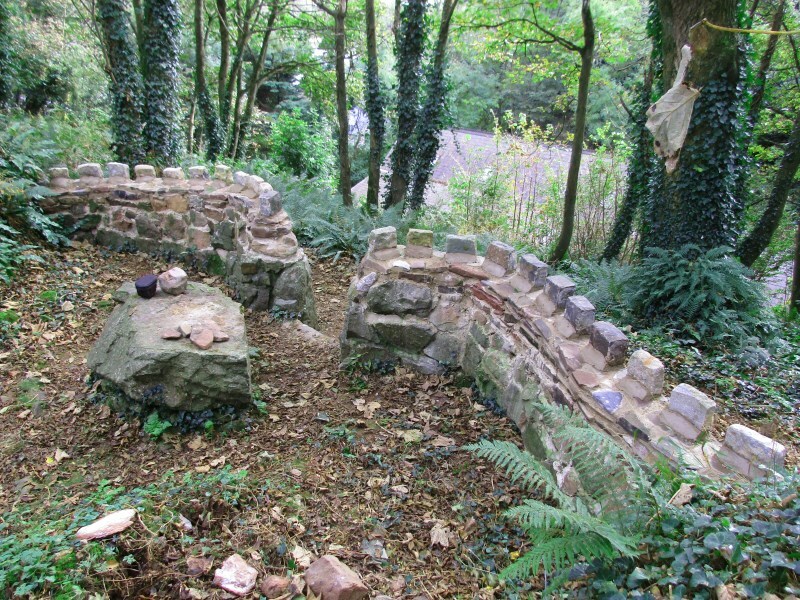 Originally it was use as a rubbish dump that we cleaned out revealing some Sandy Haven history – old cauldrons and skillets for cooking over wood fires, old bottles, broken pottery, a hollow iron that was heat by putting burning coals inside it and some brass uniform badges for the Welsh Regiment. There was a broken coronation mug of King Emperor Edward VII and Queen Alexandra of the United Kingdom of Great Britain and Empress of India – very different times of their short 1901-1910 reign. 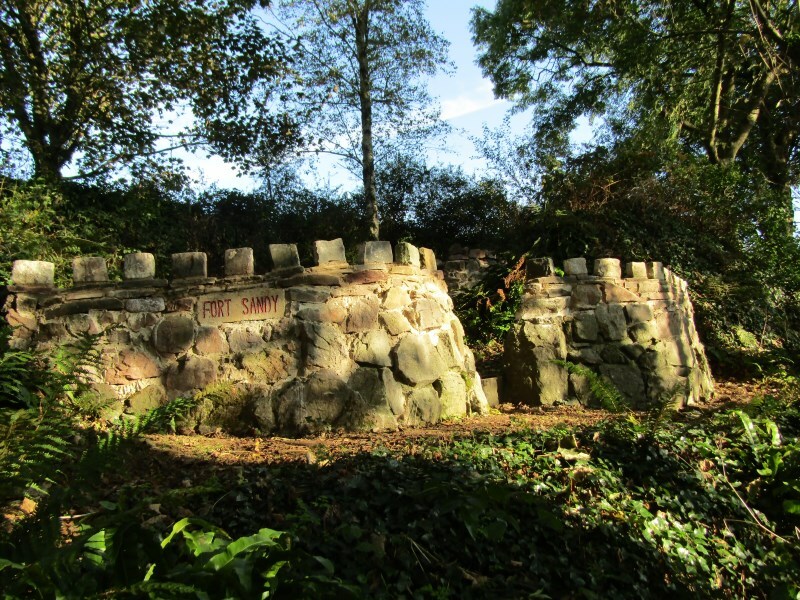 The front wall of the fort was completed this year and work on the great tower started, so it is now four feet tall. A nice sawn slab of limestone was found and the name of the fort was carved on it and the block included in the walls. It is planned to build a gazebo in the fort, so as to have outdoors shelter when it is raining. Fort Sandy is an exciting campsite for young children, where one can cook sausages over a camp fire (unless in August there is a ripe wheat crop in the adjacent field). At night the trees creak in the wind and rabbits and a fox may visit. We camped there some 35 years ago with two of our young children in summer. We had been swimming at Watwick beach and it was a hot night, so the tent flaps were open and there as a full moon. I was awakened by a fox licking the salt from my hair. I woke the children who were delighted when the fox refused to leave. 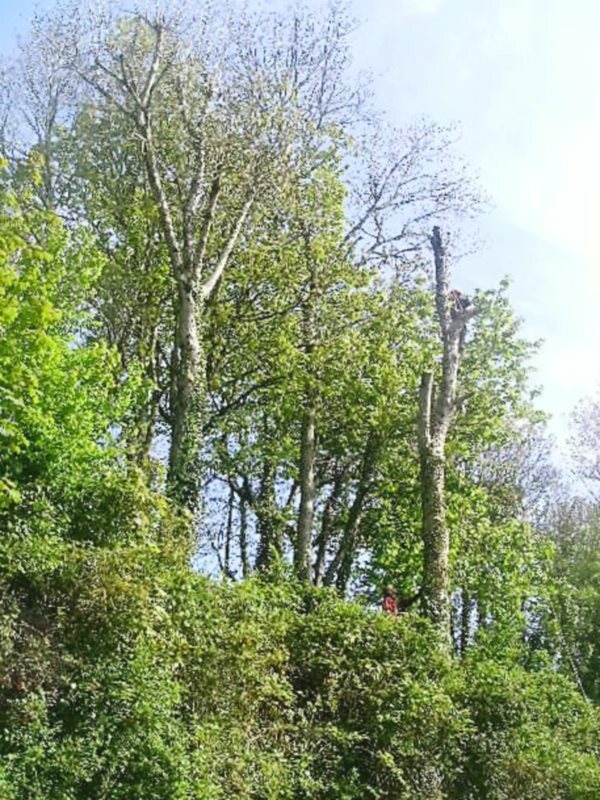 Two more of our large oak trees, that were blown down in a winter gale into Sandy Haven pill about 4 years ago, were cut free and floated to our local beach. A neighbouring farmer then took them to our local sawmill on the old Dale airfield. The trees will provide the timber for the gazebo. Some visitors over the past two years had difficulty in finding Sandy Haven. 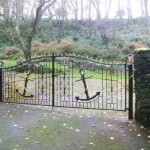 There are two Sandy Havens, one on either side of the entrance to the pill. Some turned the wrong way in Herbrandston village and went down to Sandy Haven beach on the east side of the entrance to the pill. We are on the west side. This means following the Dale Road through Herbrandston village and going down the long steep hill to follow the Dale road to our sign post to turn off. Somebody removed the sign to our Sandy Haven, but this has now been replaced (see photo). Improvements have been made to The Anchorage with the first few years profits. 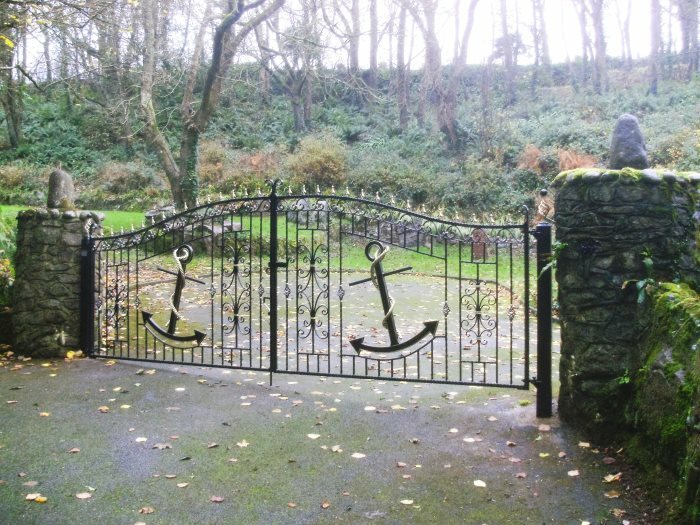 A fine wrought iron engineer, Colin Davies from Crymych in North Pembrokeshire, has made a pair of specially designed Anchorage front gates (see photograph). 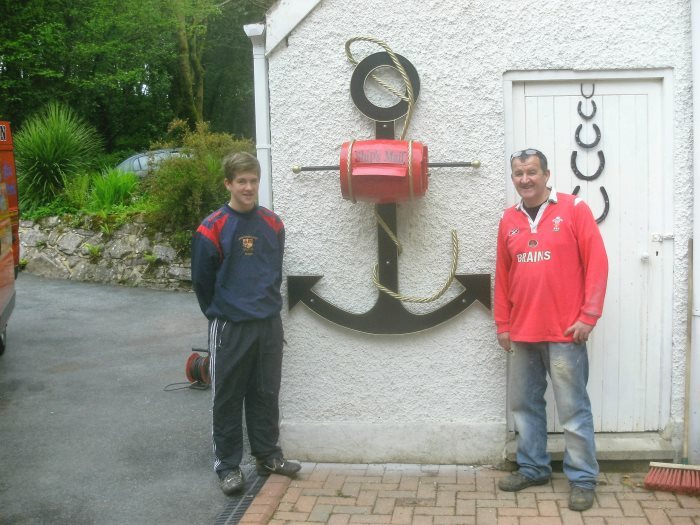 He also made a new nautical type mail box utilising an old barrel and Anchorage motif (see photo). His name and business address are on each item. The barrel mailbox took the idea from old whaling ships that left their mail in a barrel on a post in the Galapagos Islands. Two very large trees immediately behind the house, which they overhung, were standing on the edge of the bank behind the house (see photo). The weight of the trees was so great that the rocks seen in the bank beneath them were crumbling. 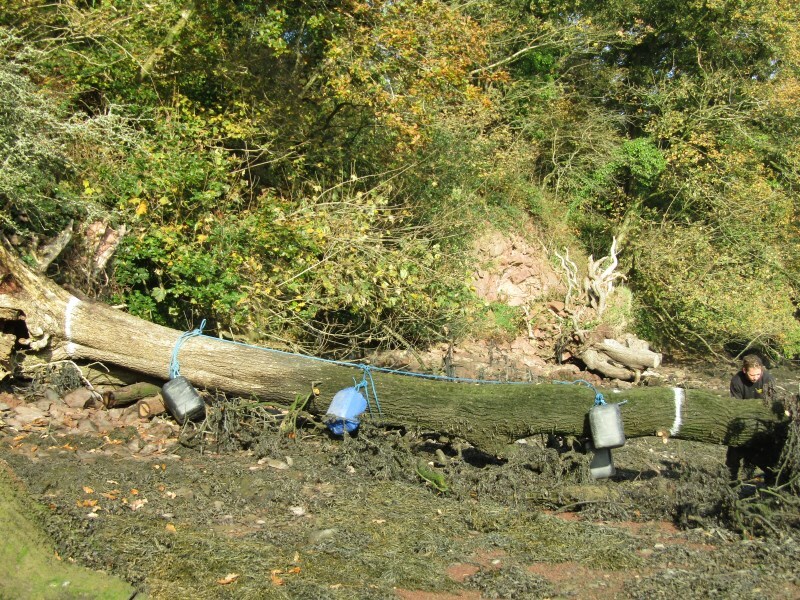 With permission from the Pembrokeshire Coast National Park (PCNP), both were felled in sections and donated to a neighbour for firewood. 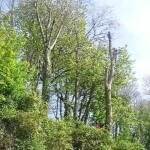 A small chainsaw on a pole was purchased and a number of long tree branches overhanging the garden were removed, again with permission from the PCNP. One was a particularly long horizontal branch that overhung much of the asphalted car park area. At the repeated request of visitors, WiFi was installed in The Anchorage. This proved to be a long job. 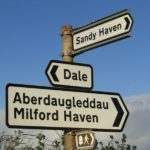 First a 90% grant was obtained from the Welsh Assembly under their Rural Development Scheme for Wales, funded by the European Union. The nearest transmission mast is sited near Angle village on the south side of the Milford Haven waterway. There was no direct line of sight to The Anchorage by which signals could be received. So a small mast with receiver was installed on the field boundary above my neighbour’s house. I then got his permission to enter his garden, climb his bank and chain saw off several large tree branches that were obscuring the line of signal. There is no password and the signal is identified as “The Anchorage”. The house is emerging as successful for family reunions. One of our nicest was for two old parents now in their 70s. They were joined by their two now-adult children and their families, each with two grandchildren. It was their first reunion for a very long time. One child had married and lived in the USA and the other had married and lived in France. The family lingered a bit for conversation as they left, and it as most interesting to hear the four young children converse in English, but two with strong American accents and the other two with strong French accents. 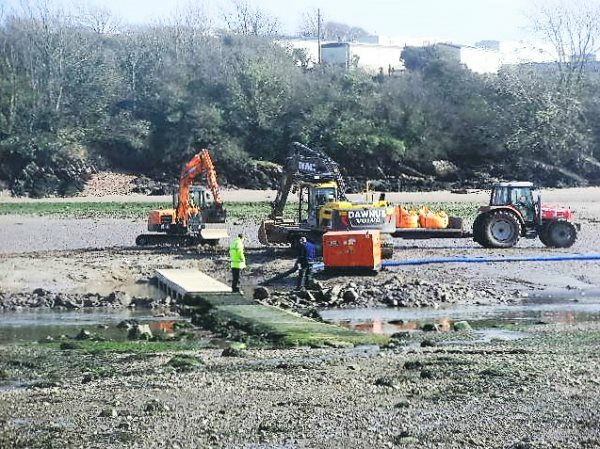 Earlier this year the famous crabbing bridge across the tidal inlet of Sandy Haven was “improved” by the local council. 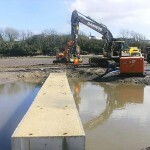 The bridge is only in the centre to span the stream of water at low tide. Its approaches on both sides were lines of stepping stones made of Second World War roadblocks of concrete “drums”. The National Parks drilled there recently to find the bridge is underlain by 17 feet of sand. 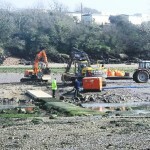 There was a problem with the concrete stepping stones sinking into the sand and requiring resetting. 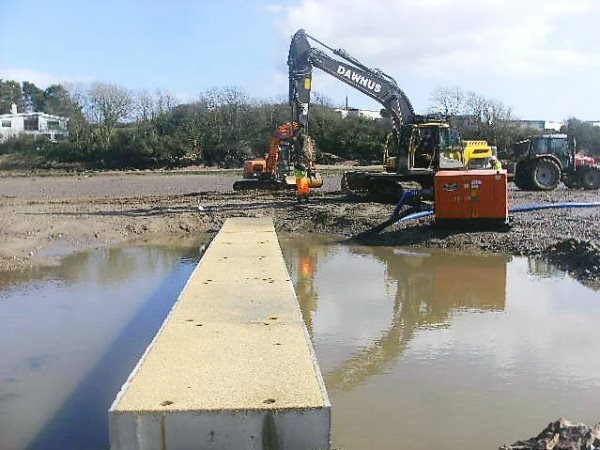 So the long line of concrete stepping stone on the Milford Haven side (east) were removed and replaced by several sections of cast concrete bridge with water channels through them (see photos) . A quick test of the crab catching has revealed no change to the crabs who still inhabit the central stream under the bridge that was not disturbed. 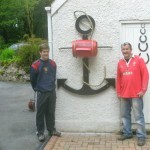 Son Matt has updated our website for The Anchorage and it is now renamed: www.anchorageholidaycottage.com. The old site www.anchorageenterprises.com now directs to the new site only. 2013 is our third year of operations and bookings are building up and we are getting visitors who have returned each year. The first year we had 8 bookings, the second 10, and this year 13 so far. As we hoped, most of our visitors are families with children. We have four children in our family (now adults) and they all enjoyed their summer holidays in Pembrokeshire. It is a pleasure to see families enjoying the same things we found long ago especially the beaches and especially our local crabbing bridge (see visitors comments). Visitors comments on improvements have been very helpful. Coastal Cottages does not permit us to provide big BBQs because the cleaning girls don’t have the time to clean them. So we use throw away BBQs and provide each visitor with one to get started. Originally a BBQ slab was prepared at the back of the house, but visitors preferred to BBQ in the patio Monks Garden in front of the house. So last year we had a large brick and slate BBQ built in the Monks Garden close to the garden furniture so groups can sit out in the garden, BBQ and dine there surrounded by trees and flowers. Another suggestion made this year was that in the large sitting room with 10 arm comfortable seats in a half circle, there was only one large round coffee table in the middle. But it was too far away from the chairs requiring getting up each time. Sets of nested small coffee tables were suggested and these have been provided so one can sit and drink and snack while watching television or a video without getting up. 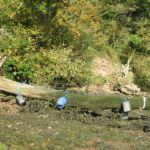 A problem we are wrestling with at the moment is that some of our visitors are kayakers but arrive without their kayaks. 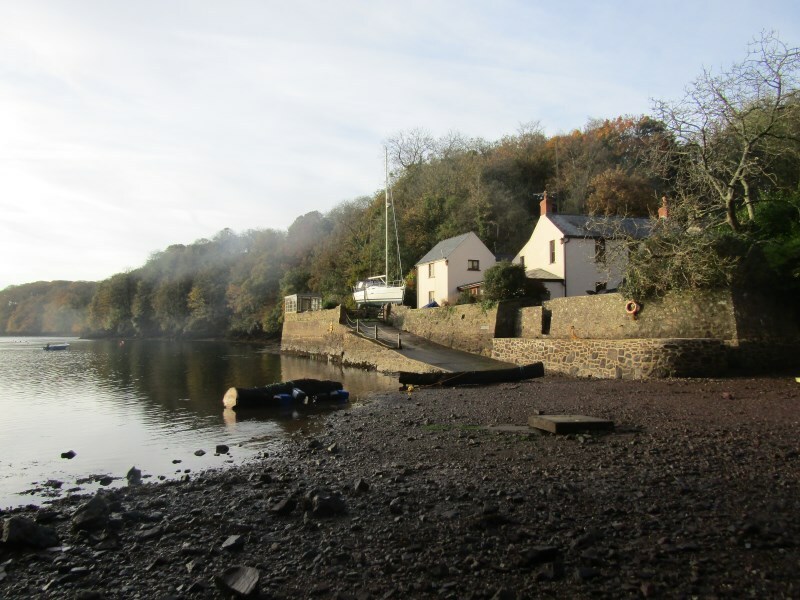 Kayaking is mentioned on the Coastal Cottages website but was not noted by visitors and this website is very new. Visitors tell me they never know what they are getting when they book a holiday. 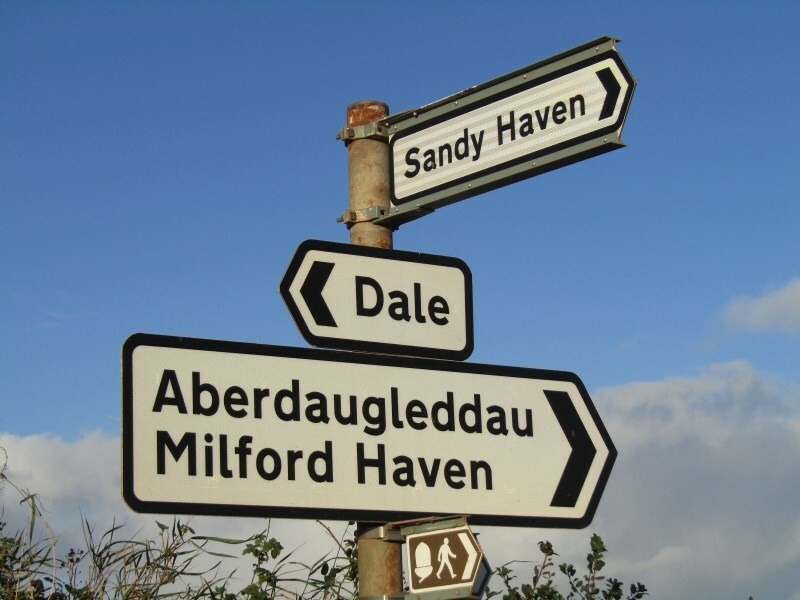 When they discover the 1.4 mile long tidal creek of Sandy Haven and that there are three secluded beaches accessible only by boat immediately west of Sandy Haven (where one can have a beach to oneself even at the height of summer school holidays) there are regrets. The Anchorage carries a large and expensive insurance including £10,000,000 liability insurance and neither Coastal Cottages nor the insurance company will permit me to provide boats or kayaks although I have them. I have asked Coastal Cottages if they will mention this website but they say they cannot promote private websites. 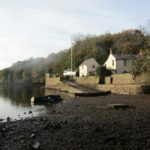 So either a closer scrutiny of the text and photographs posted on the Coastal Cottage website for The Anchorage or this new website (less than a year old) remains the best way to learn about our cottage activities before arriving. 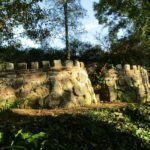 Another cottage activity that is not known is the presence of Fort Sandy – a large play fort just above the house on the edge of the valley in the extensive two acre gardens. It is an adventurous place for children to camp and unless in August there is a ripe crop of wheat (there is this year) for camp fires. In the night, surrounded by tall trees, the leaves will rustle and if windy limbs will groan, rabbits and a fox might appear but the security of the houses and toilets are just below along a strimmed path that needs a hand torch. But it does require bringing some camping gear. Saturday is our changeover day when the Coastal Cottages girls arrive to clean the house and change and bedding and I am present as gardener to cut lawns, strim banks, dead head roses and weed flower beds. Rubbish is removed by Coastal Cottages before the new arrivals at 0300pm. I garden until the next party arrive and so far visitors have appreciated my meeting them and explaining the workings of the house. For strangers to Pembrokeshire I am able to answer questions on nearest beaches, tides, pubs, supermarkets, petrol stations, restaurants and show them the information provided in the house including copies of the National Park’s magazine “Coast to Coast”. One Saturday morning I received a TESCO food delivery ordered by computer that arrived in advance of the visitors, so it went into the kitchen and fridges.